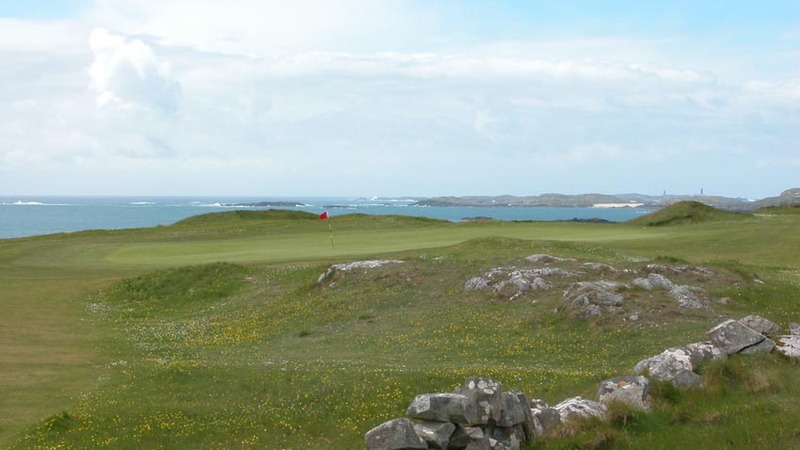 What a scenic drive it is to get to the Connemara region in Ireland, through the famous 12 bens, and past Ireland’s only fjord, to the remote town of Ballyconneely and the Connemara Golf Club, one of famous Irish architect Eddie Hackett’s many design triumphs in this region. 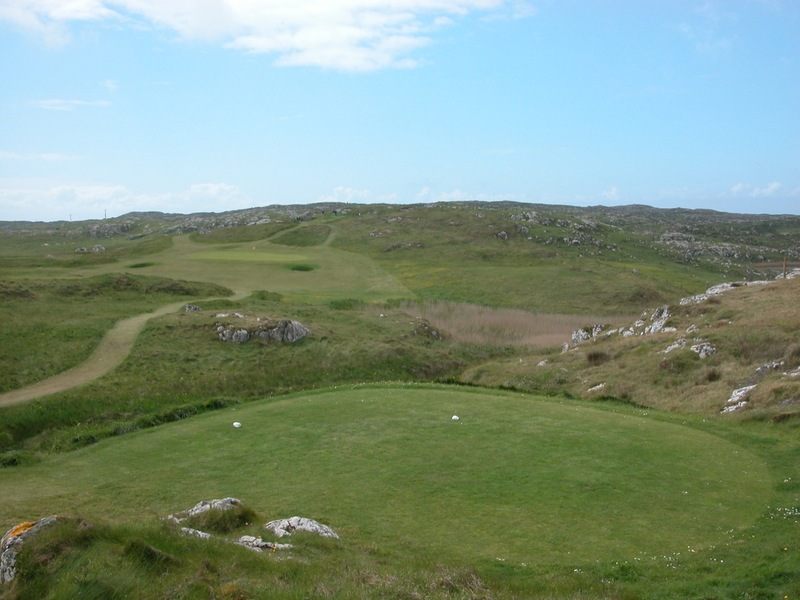 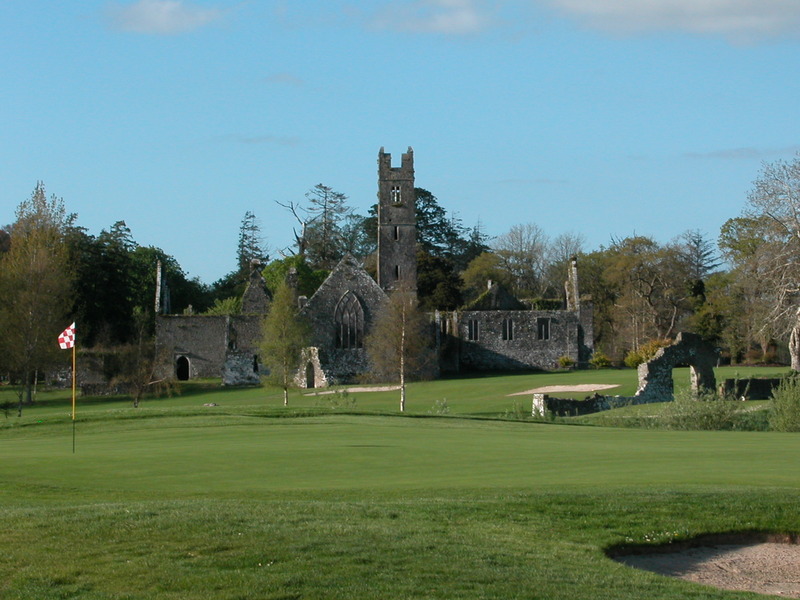 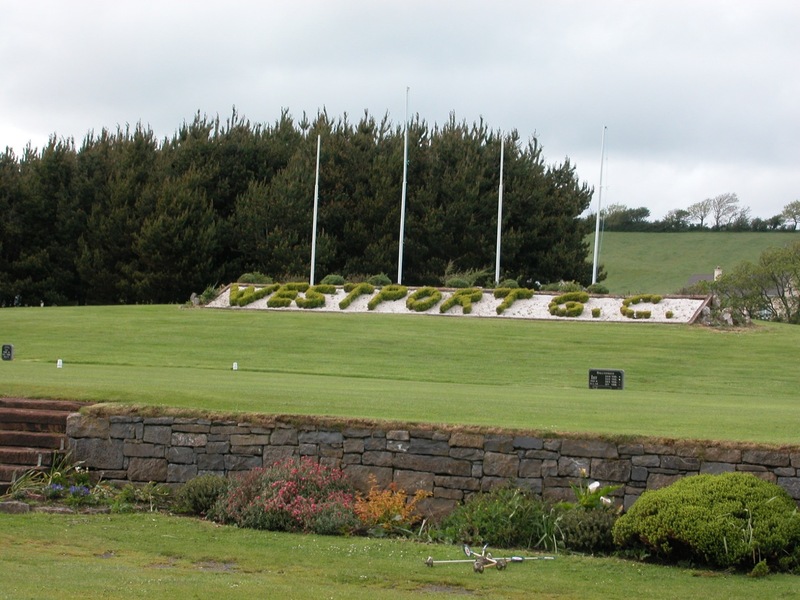 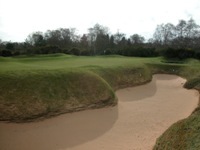 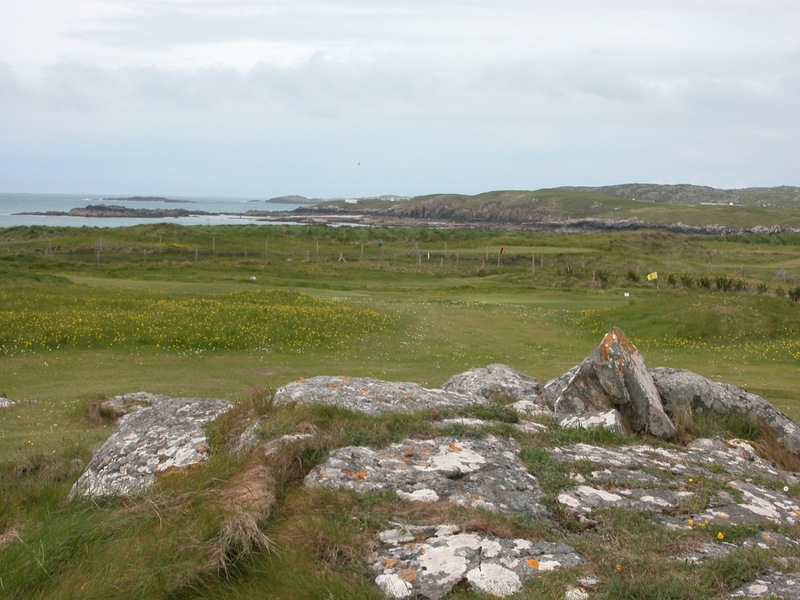 Connemara Golf Club is really unique because of the moonscape of granite outcroppings that Mr. Hackett had to overcome when building the course. 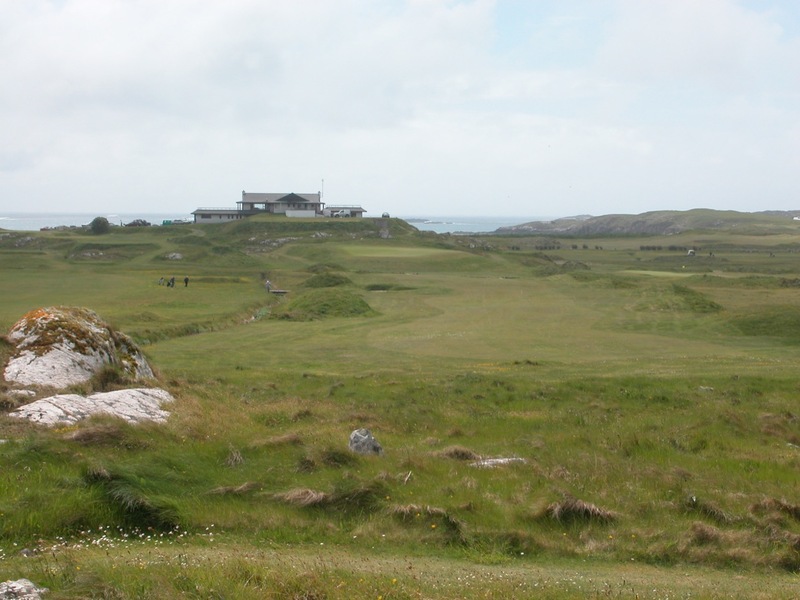 It is amazing that he could succeed in building Connemara considering the landscape, even more so that none of the granite really comes into play! 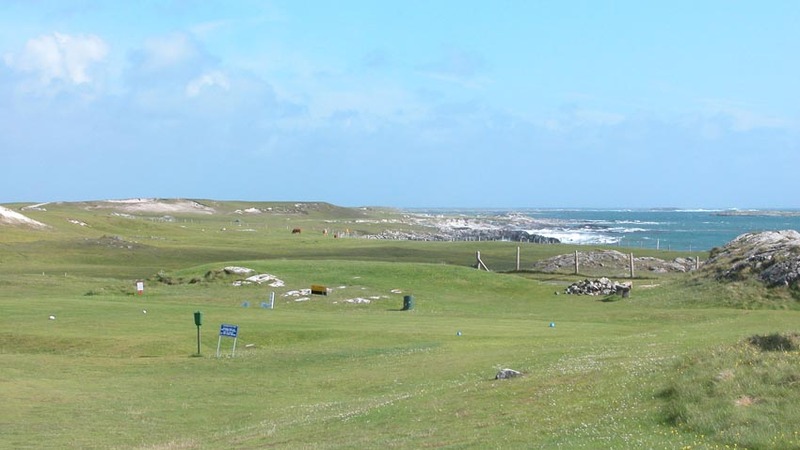 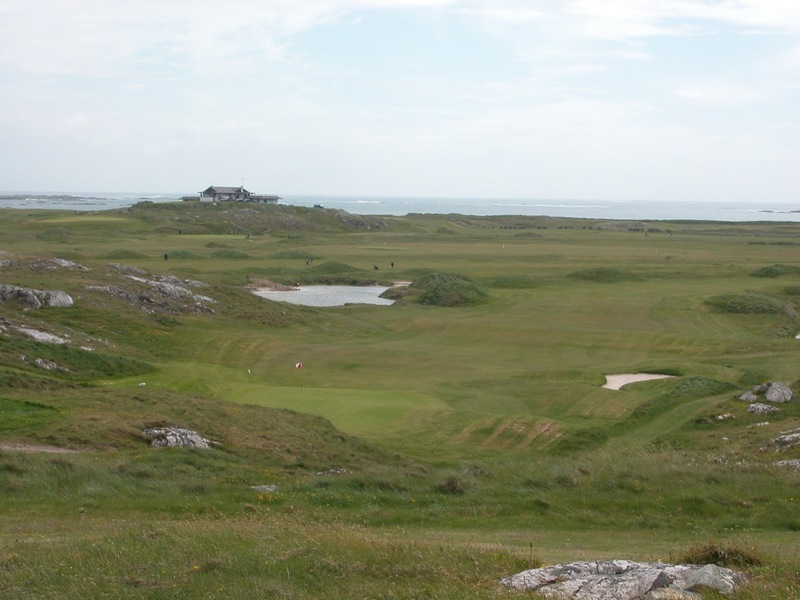 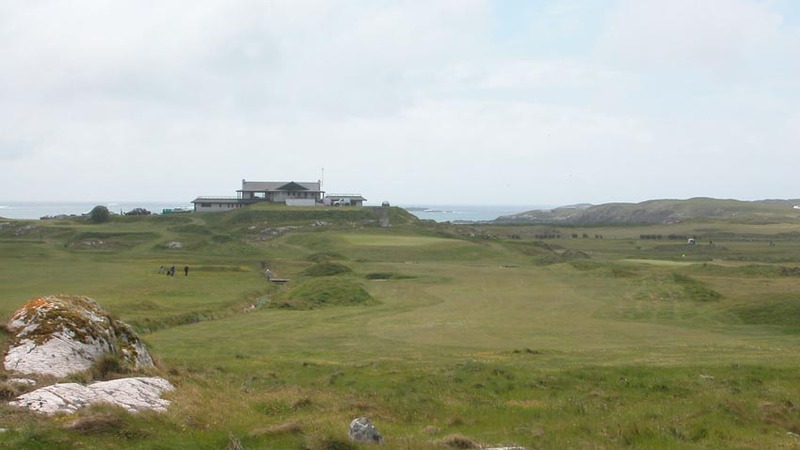 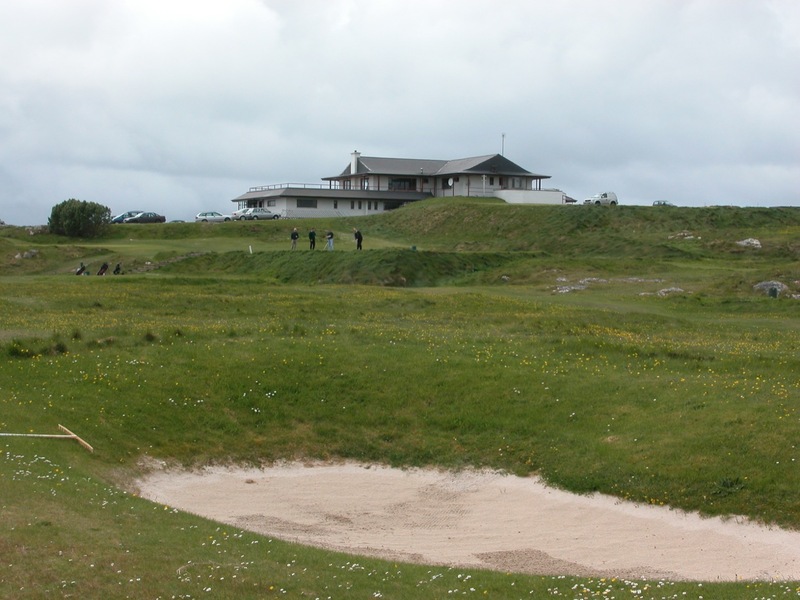 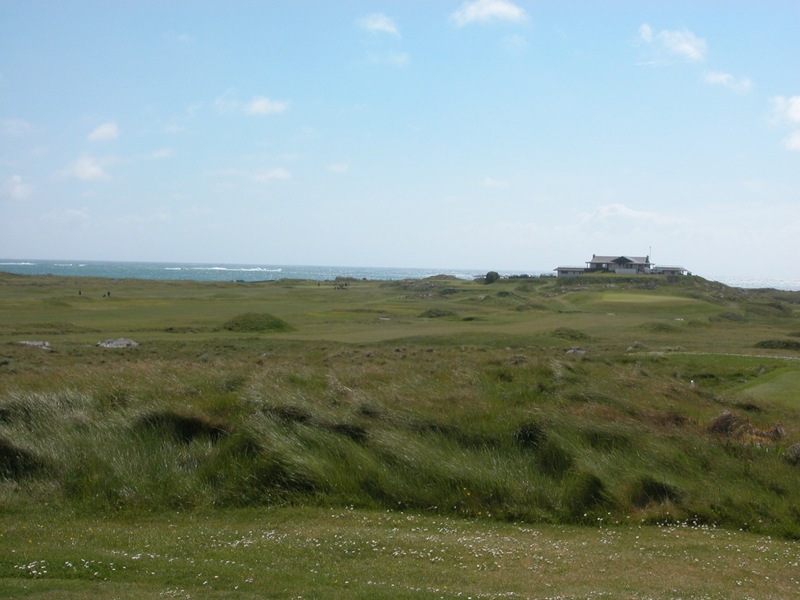 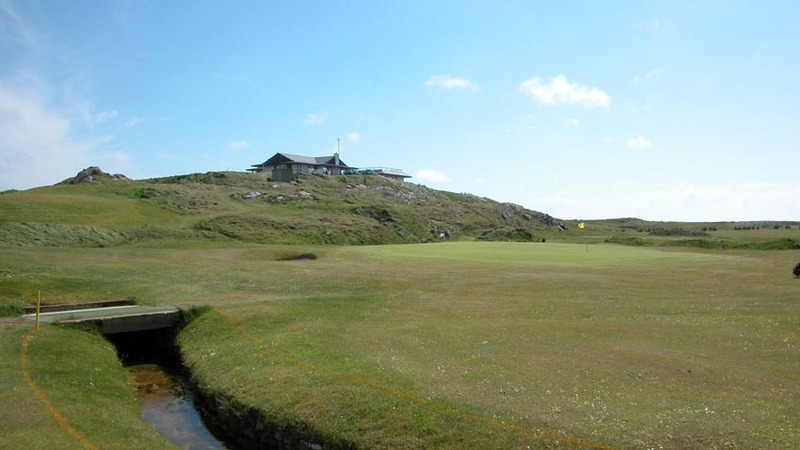 Connemara Golf Club is a monster on the card, for many years the longest golf course in Ireland, and the setting calls to mind the Monterey Peninsula, perhaps what it was like half a century ago, still unspoiled by development. 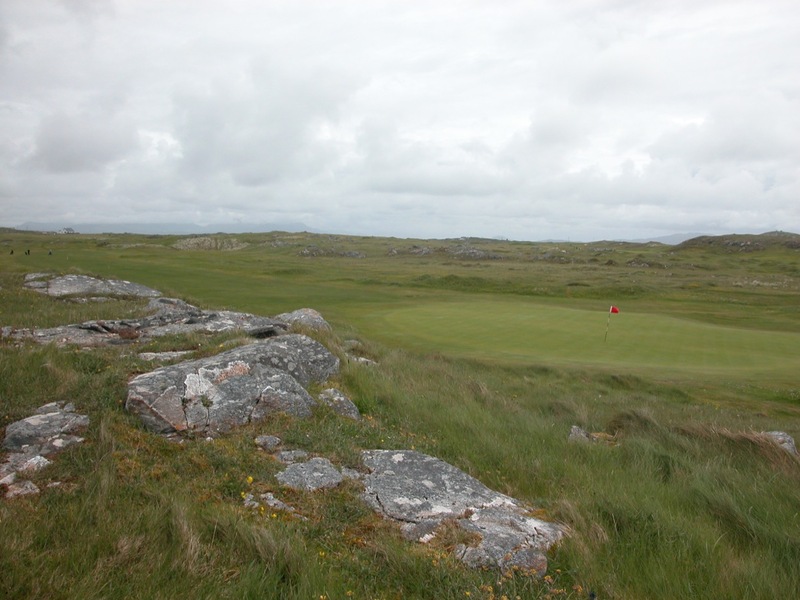 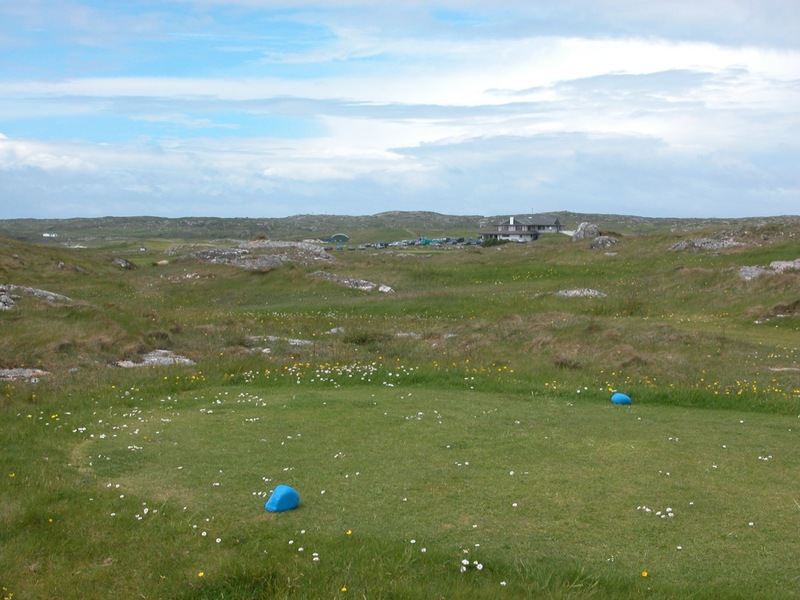 Connemara Golf Club actually offers 27 holes, and the “third nine” is the one that comes closest to the sea. 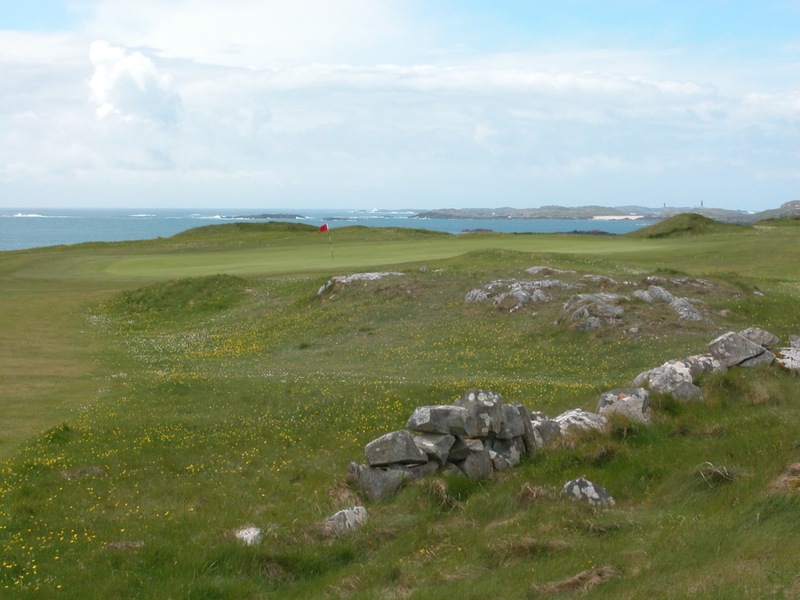 The 27th at Connemara Golf Club is especially attractive, heading straight for the clubhouse, elevated on top of the rocks behind the green. 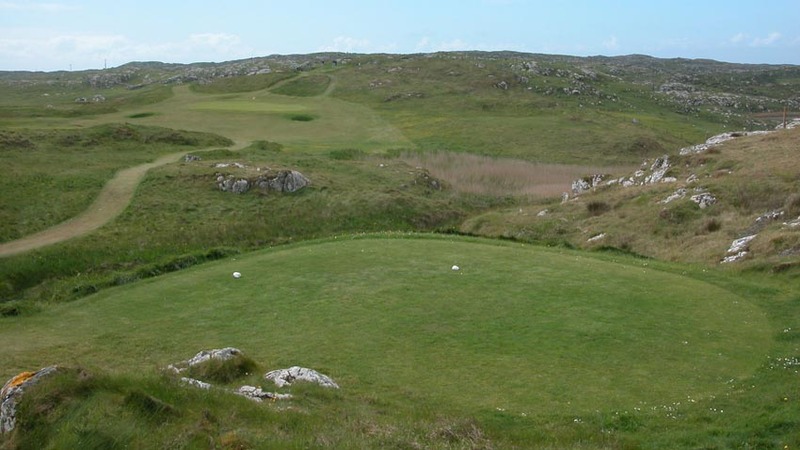 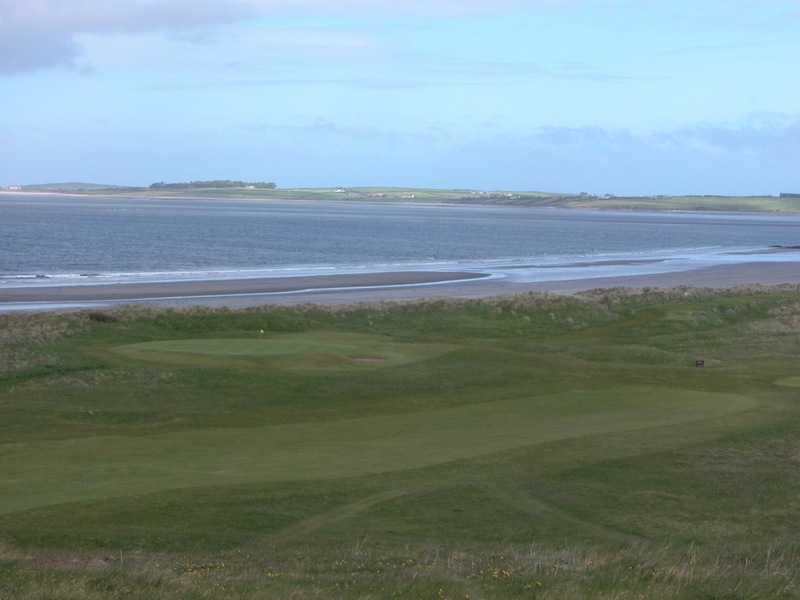 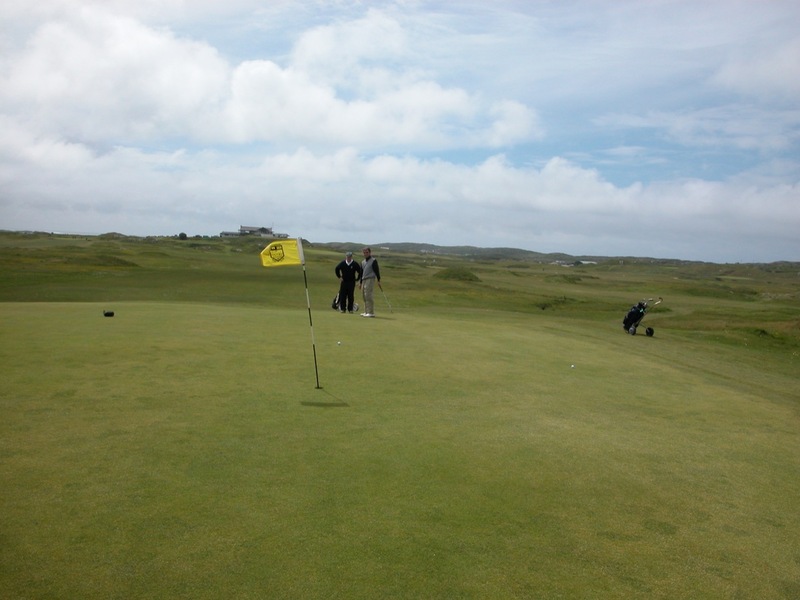 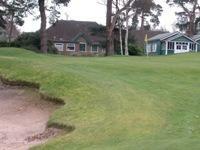 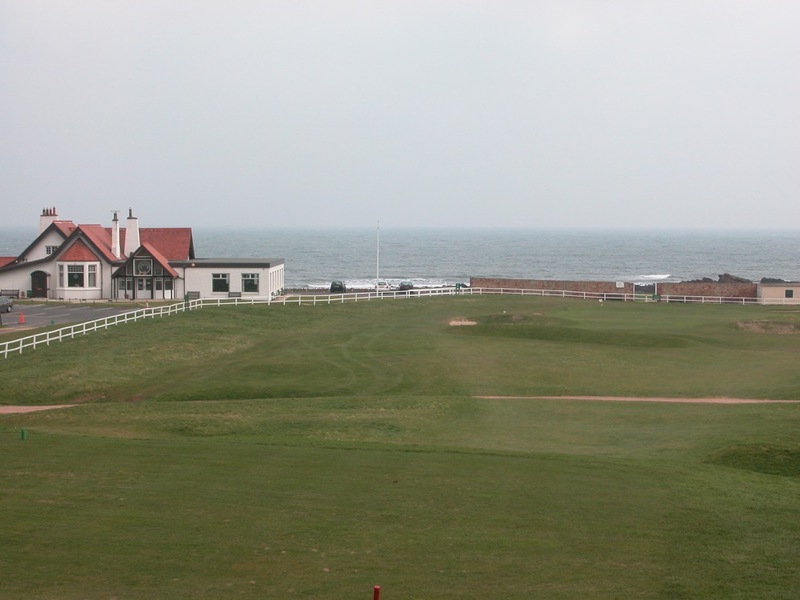 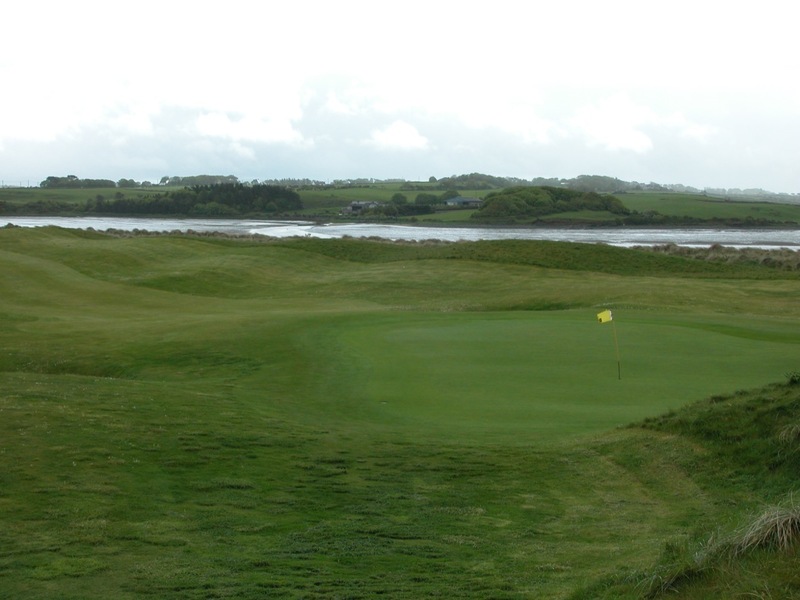 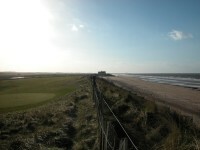 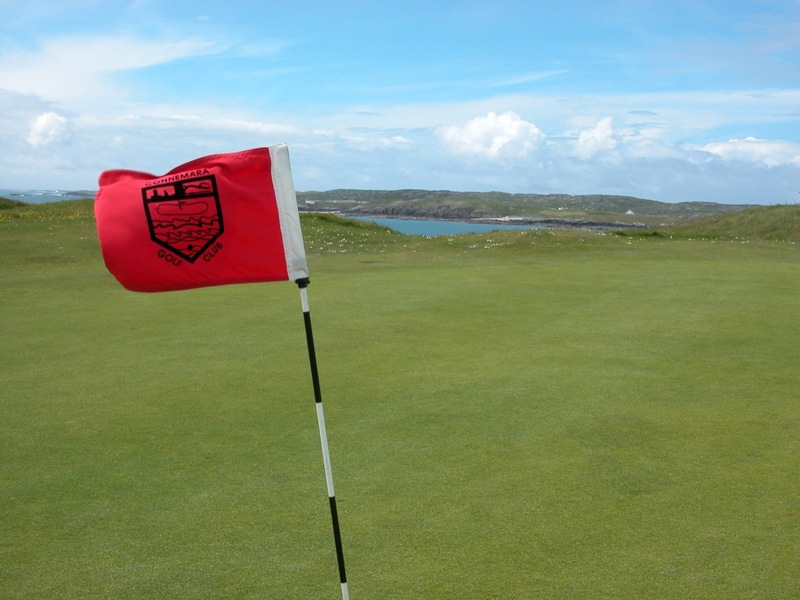 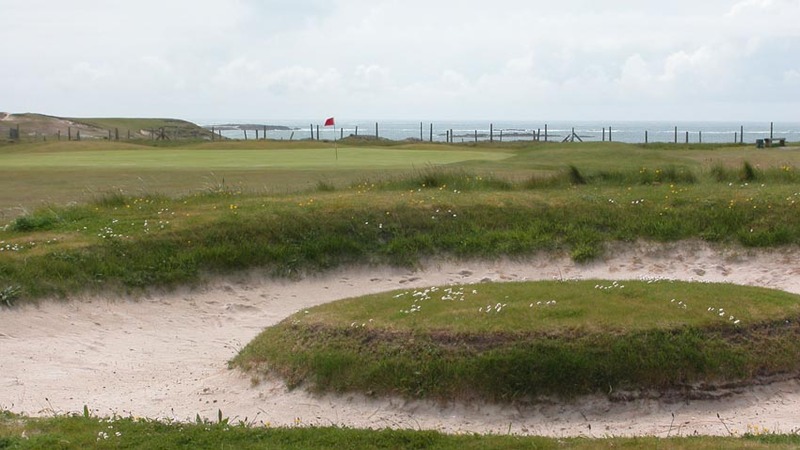 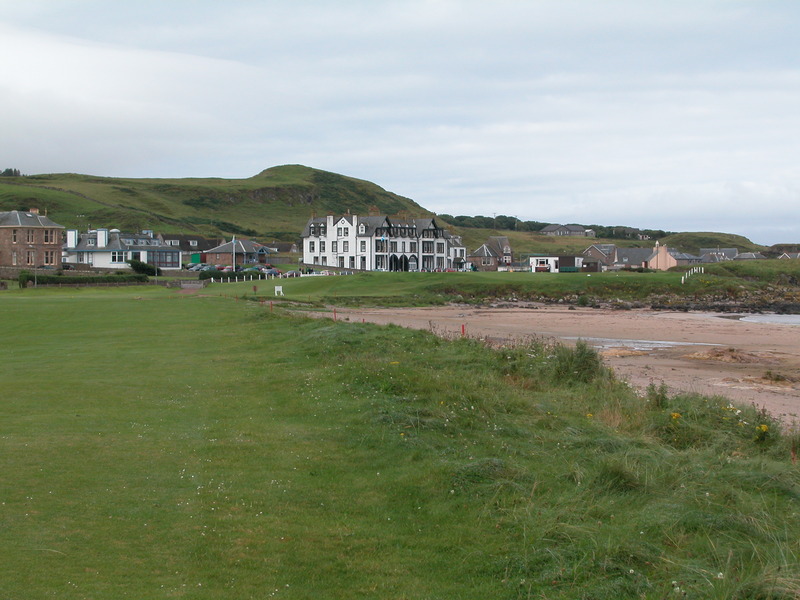 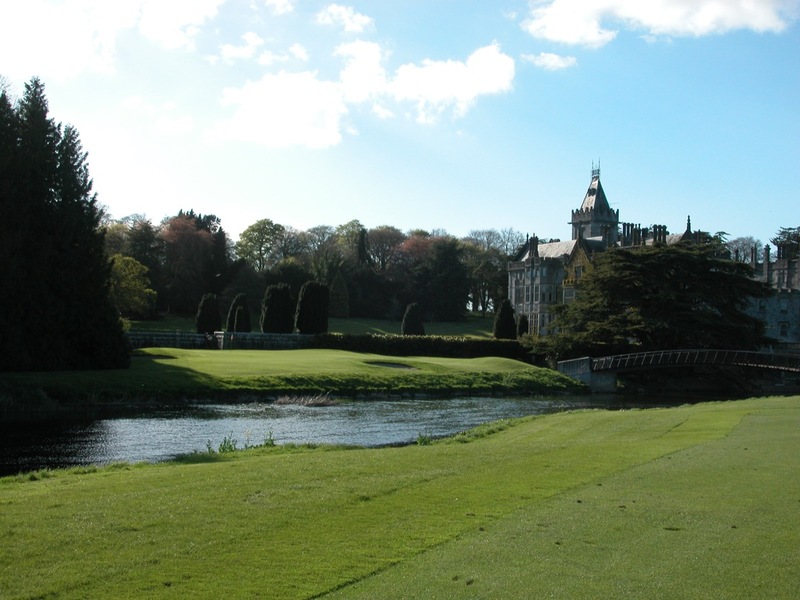 We recommend playing them all if you make the trip out to Ballyconnelly on your Ireland golf vacation!